Read the full interview at iEDM.com! 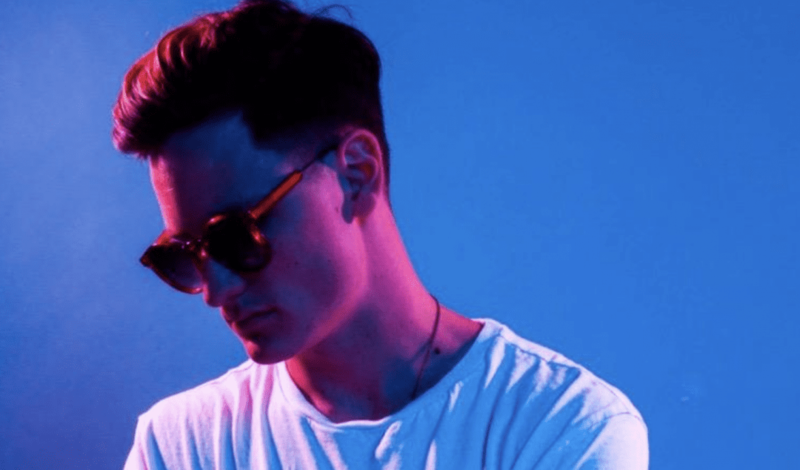 At 21 years old, Cade has already made a name for himself in the dance music scene. Hailing from Tampa and moving across the States to his new home in beautiful Los Angeles, the producer turned artist is excited for what the future holds. 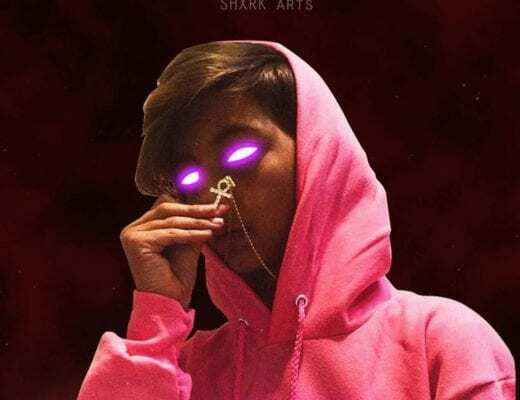 From collaborating with Cheat Codes to now releasing his own solo EP titled Warning Sign, it’s hard for listeners to not fall in love with the young lad. iEDM stopped by his beautiful house in the Hollywood Hills, which he shares with his brother Danny Quest and Trevor of Cheat Codes. With a studio built-in, Cade is beyond blessed to be able to make music for a living. iEDM: For those who don’t know, who is Cade? Cade: Cade is a happy person. Cade is me. I’m grateful I get to do what I do. I love music. I love making people smile. I love performing. I love future music. iEDM: Where do you fit in the real of EDM? Cade: I don’t necessarily consider my music straight up dance music. I feel like sometimes I fall more into electronic music in general. I’d say I fall more towards that live side, hopefully forward electronic music is how I see it. iEDM: You’re from Tampa. How does that play into your life and your music? Cade: It definitely has an influence because East Coast has that different feel from West Coast. It obviously gave me a lot of dance music background. We were close to Miami, Florida where we get a lot of club influence. So I feel like it definitely helped in the dance sense, making me more culture in the club scene. iEDM: Did you grow up going to Ultra? Cade: Oh yeah! I was going to Ultra when I was 16, and any DJ you can imagine every single weekend in middle school and high school. I was a little young raver. [laughs] I think it definitely helped out with knowing what the fans want and understanding the scene. Understanding what I’m trying to accomplish. iEDM: How important is it to come to LA as an up and coming artist? Cade: I think it’s very important. There’s so much that goes on here, not to mention how many artists are working with each other and how many up and coming artists are here producing new music. For me, it was everything. If I would’ve stayed in Tampa, I feel like I wouldn’t have the momentum that I have now. Obviously, to each his own. That’s not to say you can’t make it where you are. iEDM: Can you talk about being tucked away in the Hollywood Hills with your own built-in studio? Cade: It’s super fun! I’m definitely grateful everyday I get to live this lifestyle. We create a lot of music in this house and enjoy every step of the way. A couple parties every now and then! iEDM: Talk about your new EP Warning Signs. What do you want fans to get from your story? Cade: I want them to understand it’s real. It’s 100% coming from me and what I want to express. I hope that people see it for what it is, and take my words and my melodies and apply it to however they feel makes sense in their life. I guess tie their own stories and make connections to it would be my girl. iEDM: How long have you been making music? Cade: Since I was able to walk and make a voice! Realistically, I’ve been doing it for the past five years. iEDM: How did you get on? Cade: I started music when I was very young, and I was always trying to figure out what worked. Along the way, I was touring with another artist, a girl by the name of Macy Kate. During that time I met Trevor from Cheat Codes. And that was before he started Cheat Codes. At the time, he was called Plug in Stereo. I met him back then, and I started recording music with him. I’d fly back and forth to Los Angeles. We built a great friendship and he invited me to move out here with him. So to me, that was kind of the answer for how I was going to get my start. I knew that was my door that was opened, and I was going to take it. iEDM: I was actually listening to “Stay For Me” on the way over from work. How difficult it is to transition from producer to solo artist? Cade: I think it’s definitely challenging. As a producer sometimes, people don’t really respect your artistic creative opinion. When you start doing that as an artist, it can be a little different. But I really liked the journey from producer to artist because along the way, becoming a producer, you learn a lot of stuff that artists don’t learn. I’m glad I got to come up that way because it allowed me to see a lot before trying it myself. iEDM: If you had one song for fans to hear, what would it be? Cade: I’d love for them to hear “Warning Sign.” It’s the single I’m pushing currently, but I feel like it represents me really well. I hope that people can hear it and feel the same way. iEDM: What’s a normal day in the life? Walk us through. Cade: You know what, everything is very spontaneous. There’s some days when I wake up thinking I have a free schedule, then it ends up being the busiest day of my life! [laughs] The usual day though, say I’m here in Los Angeles, we wake up around seven or eighth in the morning and start. Cade: Yeah, we like to get started early around here. There’s no time to waste! [laughs] But we wake up early and start on music work, kind of on and off recording all day. Then as other stuff comes in from management or agents, we take that all day by day. iEDM: What would you be doing if you weren’t doing music? Cade: Failing at life. [laughs] I never really saw another option to be honest. I only really want to do music. I’ve always liked video work. So I’d like to think that if I didn’t do music, I’d be involved creatively in video production. Or maybe a cinematographer. iEDM: Talk about what festivals you have coming up, and what fans can look forward to in one of your performances? Cade: We’re playing at Summerfest in Milwaukee, Wisconsin on 4th of July, which will be very fun. We’ll be at We the Fest in Jakarta, in July. That’ll be a really cool experience. We were just there actually, playing a show with Cheat codes. We should be doing those two festivals, and they’re both going to be a brand new live set. You’ll see my brother (Danny Quest) and myself on the main stage, doing what we love and do best. And I hope you dig it. iEDM: What are three things you need on tour? Cade: Vodka, Emergen-C, and headphones because of crying babies on the airplanes. When you’re hungover or tired, that’s never fun to deal with. iEDM: What’s the best encounter you’ve had with a fan? Cade: We have this fan Mike in New York City, and he made a review of one of our songs recently. It had brought him to tears, and I thought that was really cool. The reason I started this was because I love seeing people react to what I create and what I do. iEDM: Who’s the most played artist on your phone? Cade: I’ve been jumping around like crazy lately, but probably Drake. We’re all over the place though. Literally, we do everything. I like Drake or any good hip-hop, but also straight up house music. I like anything from Mark Knight, to Zedd or Hardwell. iEDM: Production-wise, have you dove into hip hop? Cade: Yeah a little bit. I’ve been messing with it more recently, and I’ve been trying to blend more R&B aspects with the electronic stuff. I’ve always focused more on the dance thing. iEDM: Who’s your dream collab? Cade: Probably Drake, to be honest. iEDM: Is there anything else you want to let people in iEDM know? Cade: That Shirley’s the best!